The FIA has received the thumbs up from Jarno Trulli for the way they handled the tricky Canadian Grand Prix. 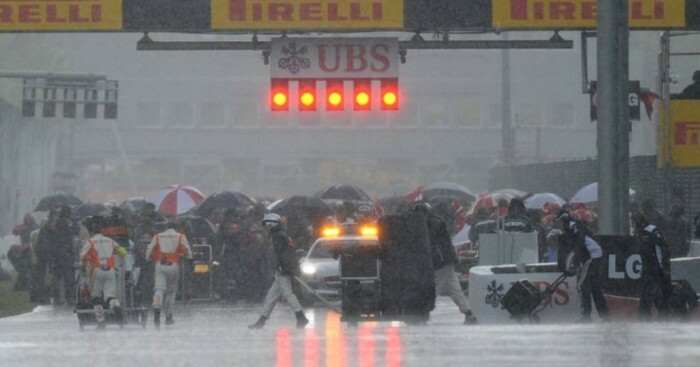 Heavy rain before and during the race made for difficult driving conditions on Sunday and the safety car led the pack on six occasions. The grand prix started behind the safety car, but only 25 laps were completed before it was red-flagged after another deluge. The race eventually restarted – again behind a safety car – roughly two hours later. There have been complaints from some corners that the race should never have started behind a safety car, but Lotus driver Trulli feels the FIA should be “applauded”. “It wasn’t easy to race, but neither was managing the progress of the race,” he wrote in his column for Repubblica newspaper. “I think that, never as much as today, the FIA must be applauded. It did not make a wrong decision and got everything right: the start behind the safety car, deployment of it when there was debris or cars standing still on the track, the red flag interruption when it was too dangerous, and then the restart after more than two hours. “It was right to wait that long: track conditions had to improve in order to make the cars drivable again. They did everything right. “Obviously confusion reigned supreme, and someone may think it’s too much, but Montreal is a different race from all the others.